Dead Orbit is one of the factions of the Guardians of the City. Dead Orbit grudgingly maintains a presence in the Tower to equip their champions in the Crucible. "Superb" technicians and specialists work for the group. The leaders of Dead Orbit are called Arachs. Members of Dead Orbit intend to escape an already dying Earth before the Darkness's return, as they've given up on the Traveler and put little faith in the City's ability to hold out against a major attack. While they recognize that such a move could be very costly in terms of lives, they see no other alternative for survival, and instead put their faith in finding enough Golden Age technology in vaults and abandoned shipyards to allow them to escape and find a new homeworld. They are even willing to cross New Monarchy's legal authority to achieve this end, but they also recognize they will need to bring Guardians to their cause in order to fight against any future threats. It is unknown how much of a fleet Dead Orbit has developed, although they reluctantly allow the Consensus and Vanguard make use of it for defensive purposes. Following the onset of the Red War, Dead Orbit began to use the Cabal Red Legion's invasion of the Last City as an example that the enemies of the Light will always be drawn to the Traveler and that Earth is no longer safe. Now setting up a recruiting stand in the Hangar of the new Tower, Dead Orbit hopes to recruit enough Guardians to impress the Consensus so they can provide the resources to refit the Dead Orbit fleet and leave to find a new home. Members of Dead Orbit and its Arachs follow a grim, fatalistic even nihilistic code where the only hope for civilization is to leave Earth and find a new home. Such beliefs are recorded in a tome called The Book of Departure. Rank 1: Legendary Dead Orbit Class Items, Dead Orbit Leg armor, Dead Orbit Gauntlets. Rank 2: Legendary Dead Orbit Chest armor, Legendary Dead Orbit Helmet. Armor and Class Items provide bonuses to discipline and strength. Rank 3: Legendary Dead Orbit weapons. Rank 25: Dead Orbit Exotic Class Item. "If only darkness lies beyond the heliopause, we have already lost"
"It will not be easy. New battles await us among the stars, but we would rather fight on our terms than stay crouched in this coffin as the Darkness closes in. We possess the hope the Traveler gave us with its dying breath. We will not allow this hope to wither on a dead Earth. We will seed it amongst the stars." "Travel the wilderness and master it. This is our salvation." "The enemy stands between us and salvation. Open the way." "We must make our own safety without the City." "Humanity has been caged. We will break the bars." "It will be cold and harrowing and we will not all survive. But it must be done." "...'til even the stars heed our calling." "Our will is such that we find strength in the gaze of Death itself." The name and logo of Dead Orbit may refer to the Traveler hovering above Earth. It has quickly become a meme on Bungie.net to say: "Dead Orbit is the best orbit." 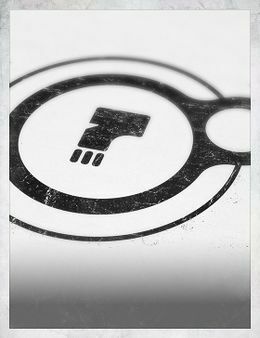 In 2013, the faction was called Dead Orbit foundries.